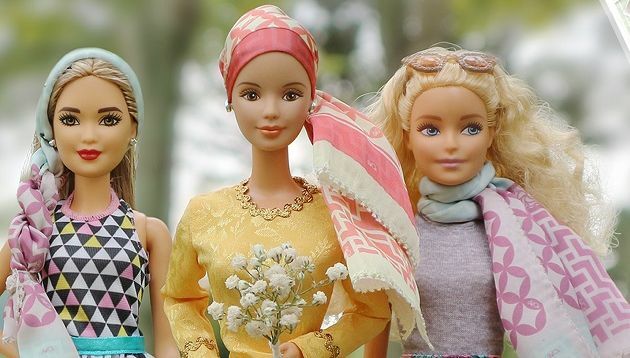 Mattel has collaborated with Malaysian entrepreneur Vivy Yusof’s dUCk Scarves to create two Barbie doll-sized scarves to enable girls to style their dolls with creativity and imagination. As part of the collaboration, a short video featuring Vivy’s career and her advice for young girls in Malaysia on how to be a successful entrepreneur will also be launched in November. In line with Barbie’s “You Can Be Anything” campaign, the video aims to inspire young girls to continue to pursue their dreams and be whoever they wish when they grow up. According to the press statement, Vivy was selected to be highlighted as Barbie’s social role model because her career path has been an inspiration to many individuals in Malaysia and Asia. In a statement to A+M, dUCk Scarves’ spokesperson said like Mattel, dUCk has always advocated for the empowerment of women and for women to explore their potential and dreams through adventures such as travel and education. Both companies ran online marketing campaigns through social media and Barbie also created a microsite for the redemption of the scarves, which will also be available in Singapore in November. “We aim to continue to inspire the limitless potential in every girl. In Malaysia, we’re delighted to collaborate with renown local brand The dUCk Group and also Vivy Yusof to further inspire girls to be anything she wants to be, from a fashion stylist, an entrepreneur, a fashion designer – anything she wants to be”, said Ivan Franco, country manager of Mattel Southeast Asia. DUCk Cosmetics, a beauty line under luxury scarf brand dUCk Group, previously collaborated with Warner Bros to launch a make up line for the movie Crazy Rich Asians. Jumping on the hype, it was tasked to re-create the looks of the three main female characters – Eleanor Yang, Rachel Chu and Astrid Leong – using five selected dUCk Cosmetic products. The 114-year-old broadsheet newspaper today unveils a new logo, look and relocates all staff to a 100,000-square-feet office in Ti..